Beautiful skin is something every girl craves. Below are 4 quick tips that can help your skin look brighter and even more beautiful. REMOVE YOUR MAKE-UP BEFORE BED. Using a good cleanser will do the trick. Be sure to use the best cleanser for your skin type. Creamy cleansers are good for dry skin and gel cleansers are good for oily skin. EXFOLIATE OR USE A MASK ONCE A WEEK. This should be a weekly ritual for every Yummy Glam girl. By exfoliating, you are removing the dead skin that builds up overtime. Your skin will look brighter. One of the most economical scrubs can be found right in your kitchen. Try using sugar. You can blend about a teaspoon of sugar with your cleanser and gently massage it into your skin. After the process, be sure to moisturize. MOISTURIZE. Once again, keep your skin type in mind when choosing a moisturizer. DRINK LOTS OF WATER. 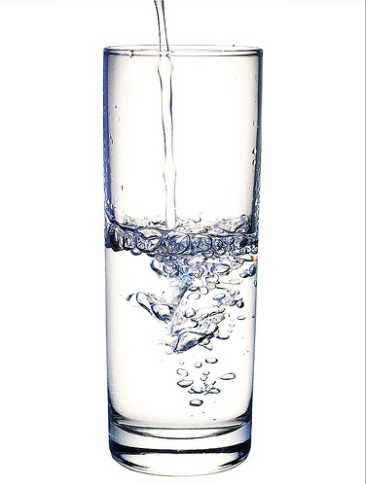 8 glasses of water a day is the recommended amount. Also keep in mind eating fruits and veggies can help you get some of the required amounts of fluid you need to keep your skin hydrated.